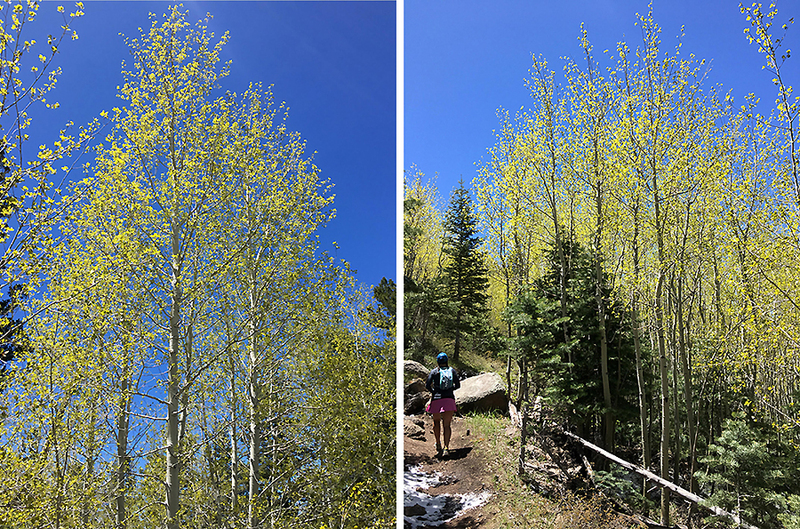 - Part one of hiking in Flagstaff covers five hikes, four of which are of the smaller variety and are very easy, the fifth hike tackles an actual mountain! 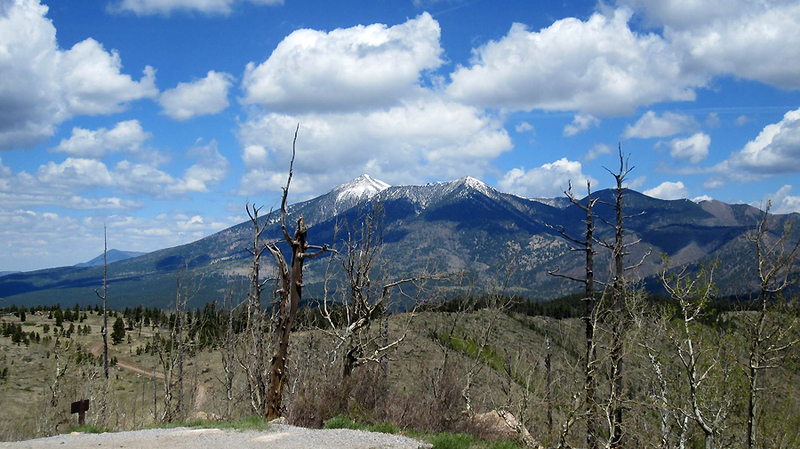 Part two will focus on a pair of hikes Whitney and I did up to Arizona's high point, Humphreys Peak. 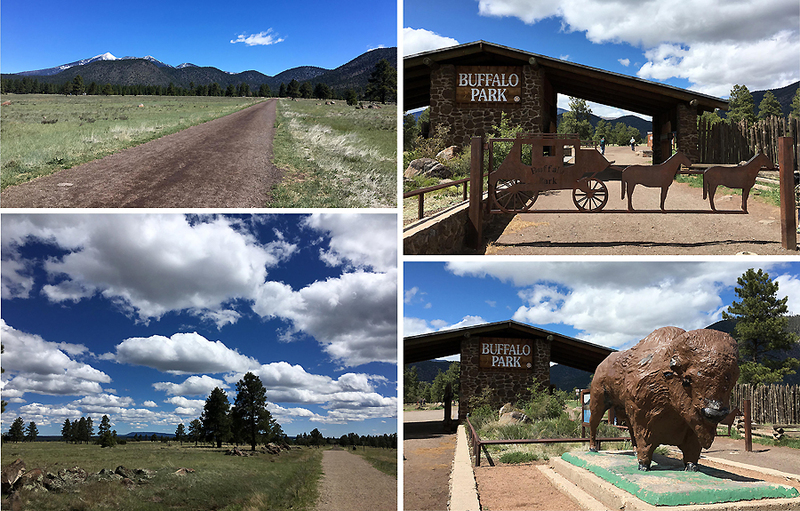 - To start off I'll talk about Buffalo Park, it is one of Flagstaff's most popular trail that makes a two mile loop over the flat top of McMillan Mesa, an ancient lava flow. It is a mostly flat loop with great views of the San Francisco peaks dominating the background, most prominent is Mount Agassiz. A majority of people who visit Flagstaff mistakenly identify Agassiz as Humphrey Peak, however Humphrey Peak from most vantage points can't clearly be seen from town even though it is slightly higher than Agassiz, 12,635 to 12,336 feet. - Next up, the Campbell Mesa Loop, one of four loops you can make in the Campbell Mesa Trail System. I would recommend this more for bikers than hikers, as it wasn't too exciting. Still, it's a very easy to navigate dirt trail with some big Ponderosa pine trees and old Oak trees. 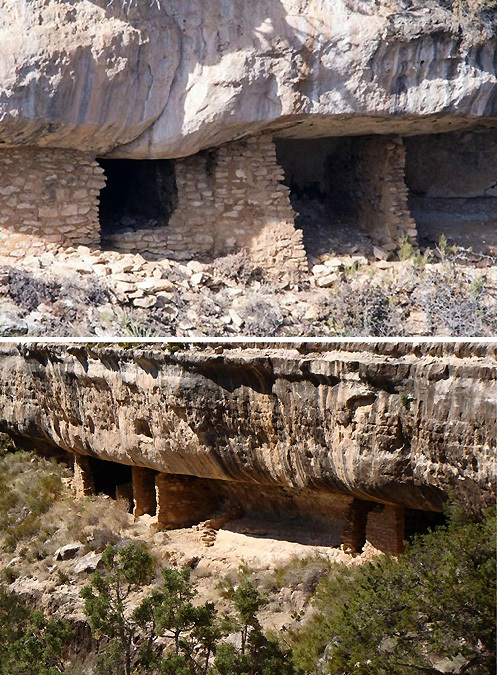 - The third easy hike in the area is Picture Canyon Preserve. When I went, I hiked the Don Weaver Trail, Arizona Trail, and Tom Moody Loop. If you go, I would recommend the Tom Moody to Don Weaver Loop, counter clockwise, with a quick out and back to the petroglyph rocks. This loop is less than two miles but it goes by the most scenic parts. The AZ Trail and the outer part of the Tom Moody Loop are honestly very boring. Once again, if you are a bike rider these outer areas provide lots of random trails to branch off on so it would be more fun on a bike than hiking. - It also travels over part of an old railroad bed from the Pacific - Atlantic Railroad, with remnants of a trestle that crossed the Rio De Flag. - The canyon is tiny but pretty, the petroglyph markings on the rocks next to the river are interesting and there are kiosk stands explaining what you are looking at. 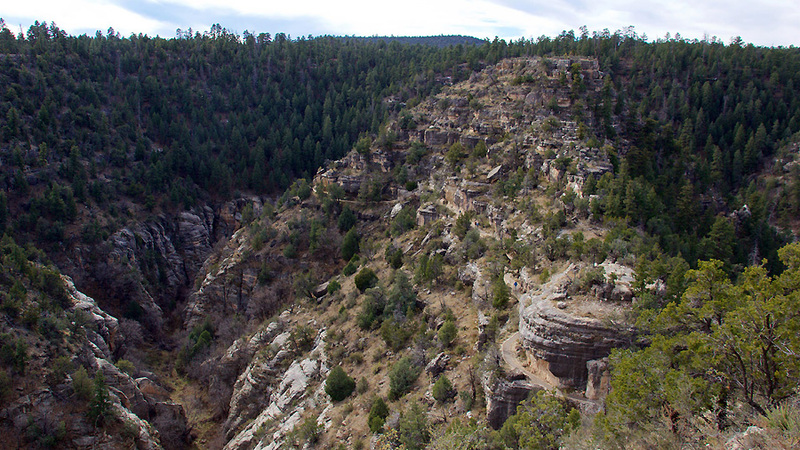 - Last but not least on the easy hiking tour is Walnut Canyon, this one costs money, $8. It's a touristy spot on the outskirts of town. 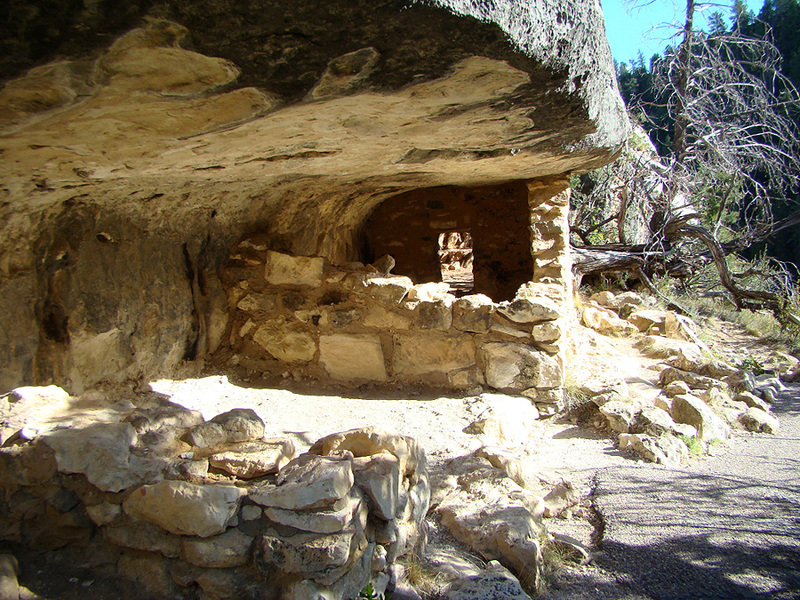 You walk a paved path down 240 steps to the Island Loop Trail, which passes by about two dozen cliff dwelling rooms from over 800 years ago by the Sinagua people, Spanish for "without water." 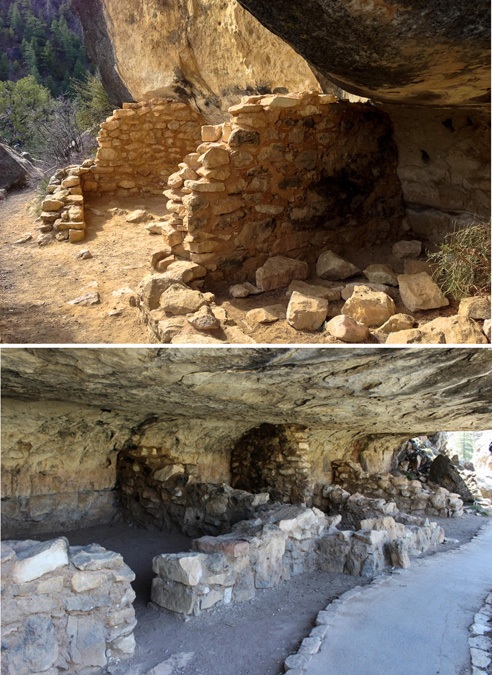 - They built rooms to live in and to store food and water in, all of this under overhanging rocks and small caves sitting auspiciously up high in the inner canyon walls. The Sinagua had to down climb to the canyon floor to the river and get water before climbing back up. For food they hunted and dry farmed corn and small crops. They lived in the canyon for a hundred years or so before finding hopefully a more desirable spot to live. - It was a pretty cool educational place to visit, and the canyon although small is really pretty. It's a small trail area to explore and it can get crowded quickly, so head there during the week and get there early. - Finally we come to hiking Mount Elden. 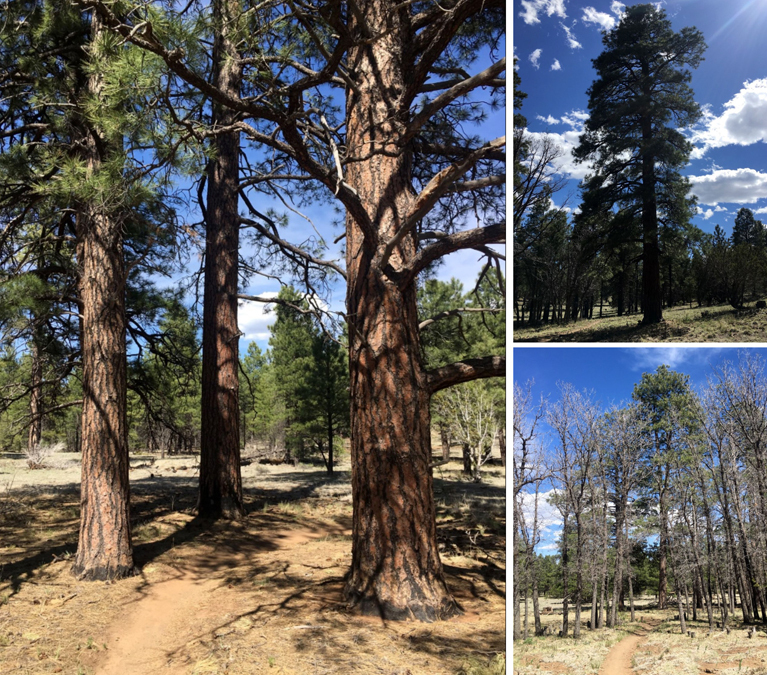 While it's small compared to the San Francisco Peaks that dominate Flagstaff, it's a really nice little mountain with great trails to train on for the higher peaks and the Grand Canyon. There is a tower with great views on the summit, the only downside are the number of towers that are up there and on surrounding smaller summits, the range is sometimes referred to as TV Hill because of all of the towers. 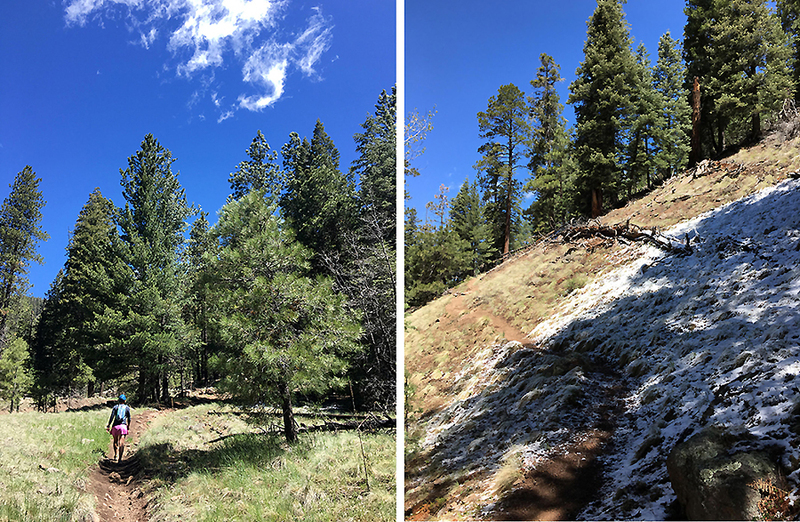 - Mount Elden is a mountain I actually did quite a bit while staying in Flagstaff this May, Since the main trailhead is located right in town I was able to get up there five times as it made for a perfect after work hike for the two weeks this month that I was working. 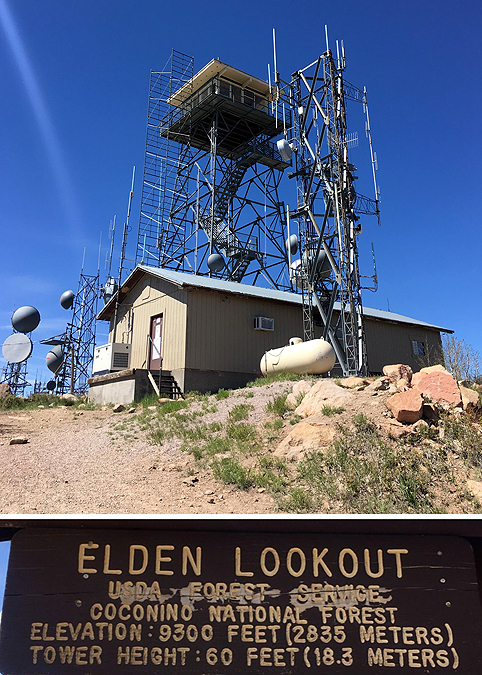 The Elden Lookout Trail is a 5ish mile, 2,300' elevation gained out and back. - The hike I'll talk about is one Whitney and I did taking a longer and more scenic approach. We started from Buffalo Park, instead of hiking the loop trail we cut right through it on the Arizona Trail which after leaving the park coincides with the Lower Oldham Trail for a few miles. After the Arizona Trail headed left we hiked up to the ridge of TV Hill using the Upper Oldham Trail. This approach was a more enjoyable hike than the Elden Lookout Trail, the grade and footing was easier and the forest was more scenic. 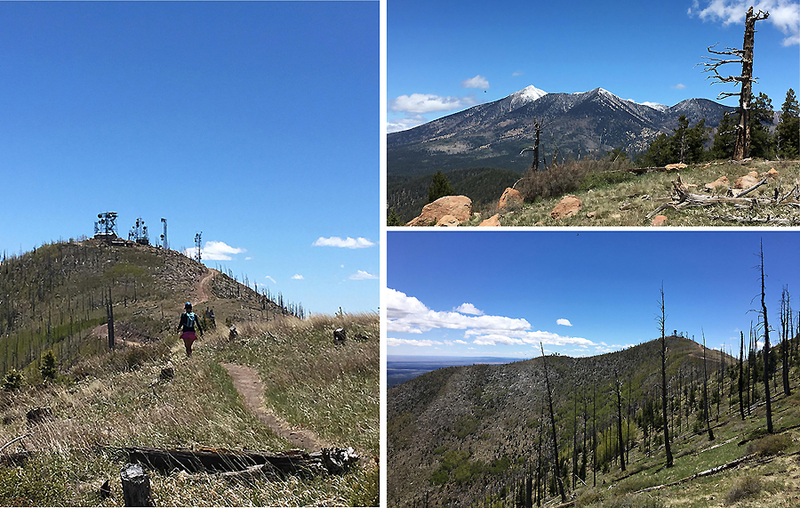 - Once we summited Mount Elden, we descended the Lookout Trail, jumped on Fatman's Loop, and then took the Pipeline Trail back to Buffalo Park, finishing up a very nice loop!